LEICHT kitchens are all about timeless elegance and a clear, calm appearance. Open the drawers and pullouts and you will find exactly the same look. In colour and material, COMBO has a timeless, elegant look and is harmoniously coordinated with all LEICHT kitchens. 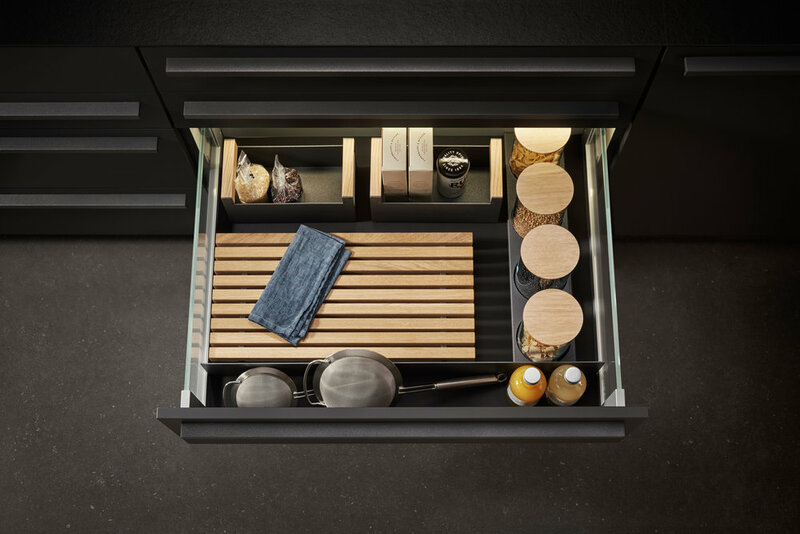 COMBO conveys an entirely new experience of clarity and tidiness: cutlery, knives, spice jars and lots of different accessories find their place in crosswise trays – this is a different, much more spacious looking orientation than the conventional vertical arrangement. 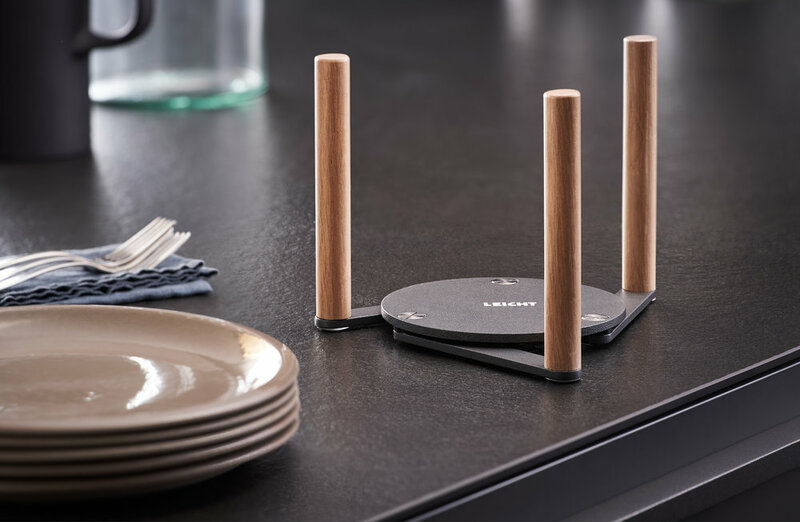 The interior is kept in neutral black and is varied with different accessories, trays and fixtures in top-quality oak.